Thailand Snake Note – Deadliest Snake in Thailand? 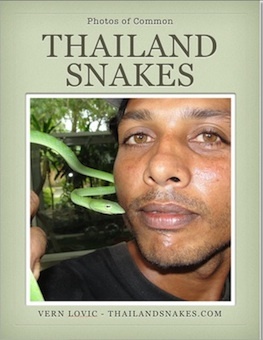 Depending how you define ‘deadliest’ there could be a few different Thailand snakes to get that title. If you’re defining deadliest snake as the one that actually kills the most people in Thailand per year, then the deadliest snake is the Malayan Pit Viper. These small brown vipers lay in the grass and wait for prey to walk by. They are lazy to move if they sense human footsteps coming their way. This means that they bite a lot of people. Some either don’t have the money to go to the hospital, don’t go for some other reason, or literally cannot get to a hospital – and they die as a result of complications from the venom in the bite. If you are defining deadliest as the snake with the most toxic or potent venom, then the Malayan Krait (Blue Krait) would get that title. Just a tiny amount of venom can kill you from a krait. 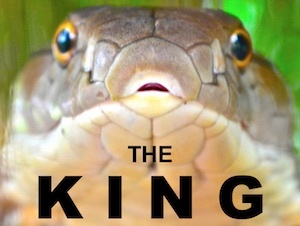 If you are defining deadliest as the snake that can kill you fastest – well it’s probably the King Cobra’s bite, which can inject 7ml of venom into your body – enough to kill an elephant – and it has done just that before too. The deadliest snake in the world – the one that kills more people than any other snake on the planet is not the mamba, it’s not the inland taipan, it’s not the Naja (cobra), or krait. It’s the Russell’s Viper. Thailand also has the Russell’s Viper, and they are fairly common in central Thailand, but they are not located in the southern provinces at all. The Russell’s Viper has a very deep bite and it can transfer a good deal of highly toxic venom. 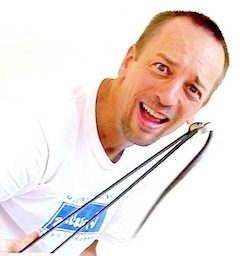 Author VernPosted on September 25, 2010 October 16, 2010 Categories Thailand Snake NotesTags dangerous Thailand snake, deadliest Thailand snake, most venomous snakes, toxic snake, venomous thailand snake2 Comments on Thailand Snake Note – Deadliest Snake in Thailand?